To promote international peace and security through new approaches, and propose to decision-makers practical solutions to non-proliferation and critical arms control issues. 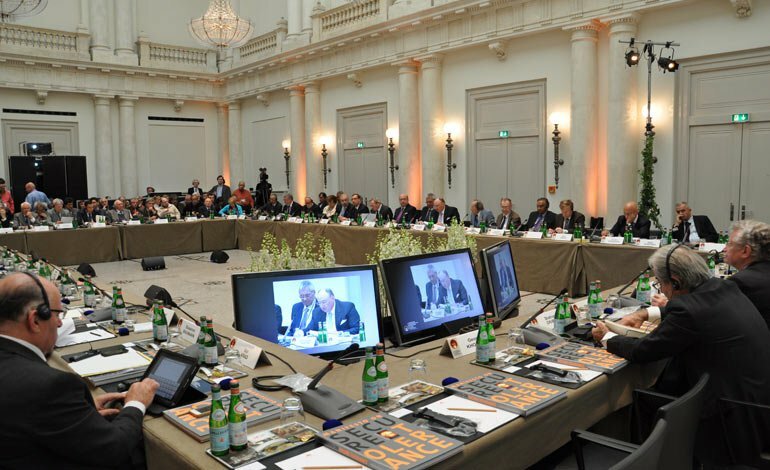 The principal guiding bodies of the Forum are the International Advisory Council (IAC) and the Supervisory Board (SB). 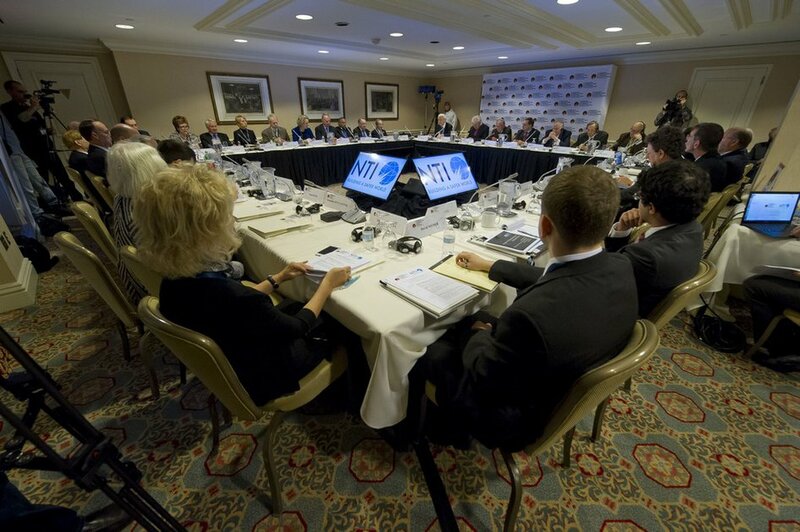 The International Advisory Council consists of more than 50 leading experts from many countries. IAC members make proposals on the Forum’s agenda, arrange events and participate in drafting the Forum’s final documents (declarations, memoranda, statements etc.) to be circulated to top-tier politicians, heads of international organisations and public figures around the world. 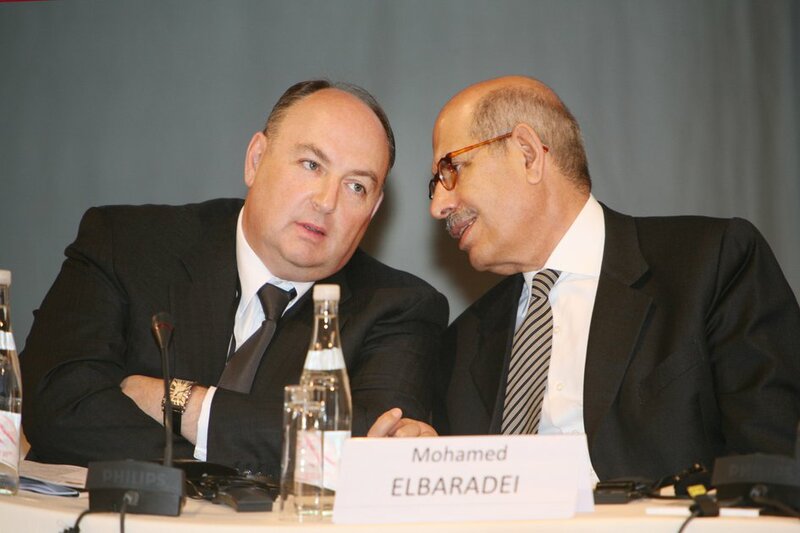 The Supervisory Board is a team of prominent politicians, public figures and world-renowned scientists, including Hans BLIX, former Director General of the International Atomic Energy Agency (IAEA); William PERRY, former Secretary of the U.S. Department of Defense; Henry KISSINGER, Chairman of Kissinger Associates (former US Secretary of State, Assistant to the President for National Security Affairs); Ph.D. (USA); Gareth EVANS, Co-Chair of the International Commission on Nuclear Non-Proliferation and Disarmament, former Minister of Foreign Affairs of Australia; Rolf EKEUS, former OSCE High Commissioner on National Minorities; Sam NUNN, prominent U.S. politician and Co-Chair of the Nuclear Threat Initiative; Des BROWNE, Vice-President of Nuclear Threat Initiative, Founder and a Current Member of the Top Level Group of Parliamentarians for Nuclear Disarmament and Non-Proliferation; Roald SAGDEEV, RAS Fellow and Director of the East-West Centre at the University of Maryland (USA); Igor IVANOV, MGIMO Professor, former Russian Minister for Foreign Affairs and Secretary of the RF Security Council; Vladimir LUKIN, Deputy Chairman of the Foreign Affairs Committee of the Council of the Federation of the Federal Assembly of the Russian Federation (former Chairman of the Committee on International Relations and Deputy Chairman of the State Duma; Ambassador of the Russian Federation to the USA; Commissioner on Human Rights for the Russian Federation). 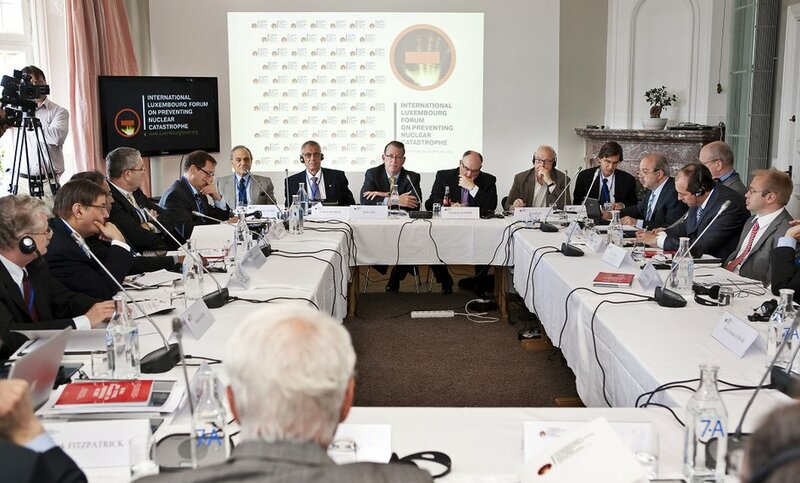 Members of the Supervisory Council advise on the activities of the Forum, a high-profile public entity aimed at strengthening international peace and security. 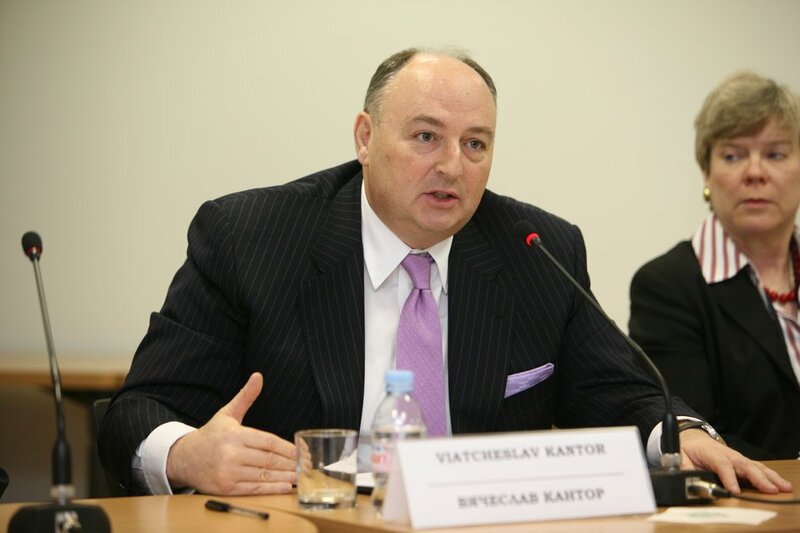 The Forum is headed by its President, Viatcheslav KANTOR, PhD., a prominent international public figure, philanthropist, entrepreneur and investor. 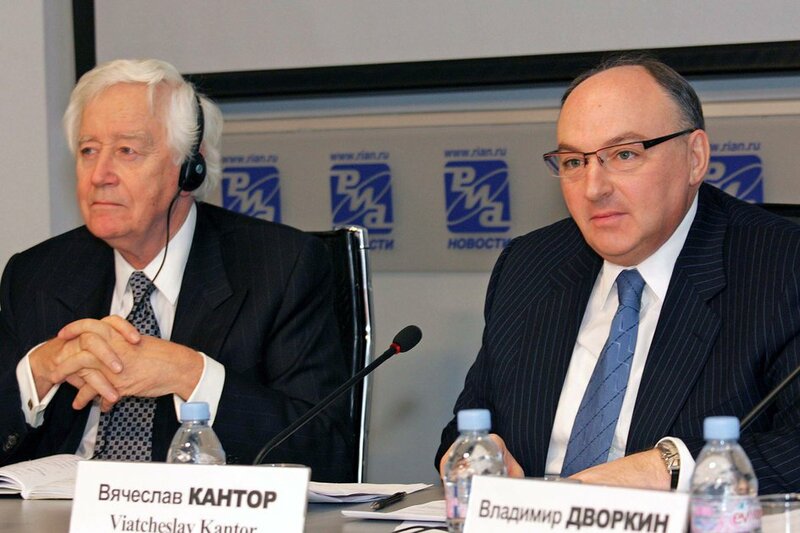 Mr. Kantor leads many international public institutions. 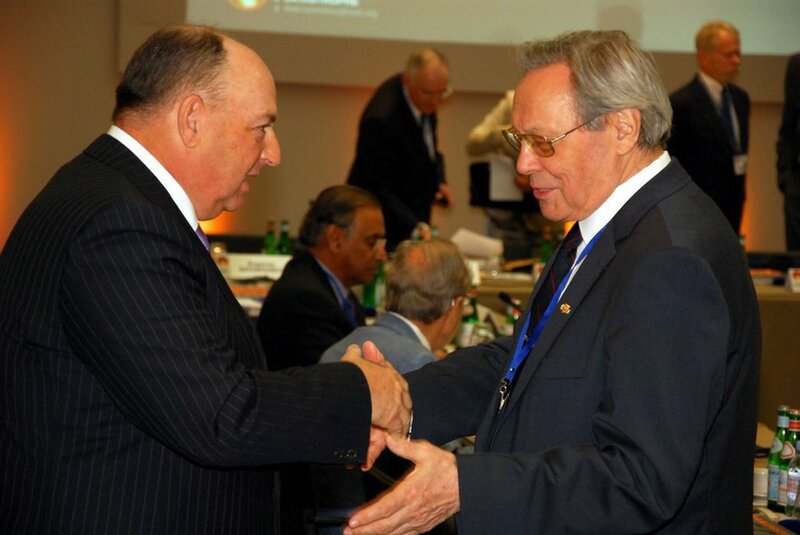 He chaired the Organising Committee of the Luxembourg Conference and has greatly contributed to the activities of the International Luxembourg Forum. 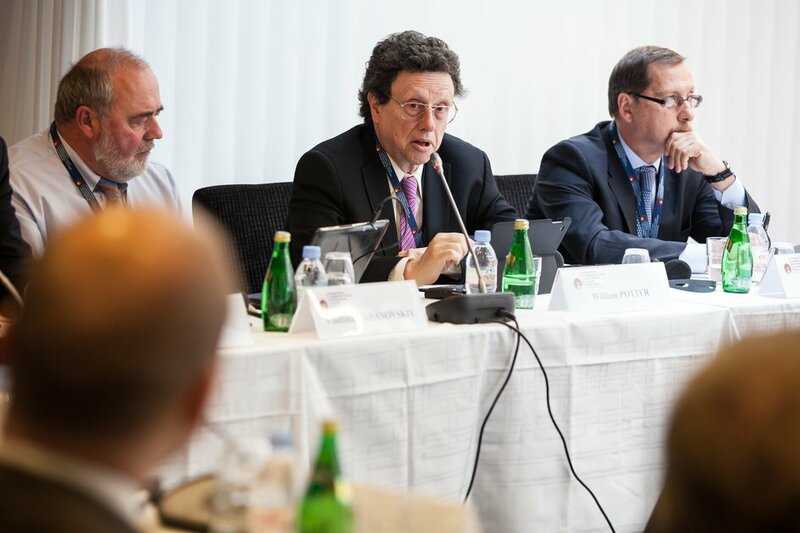 Since its inception in 2007, the Luxembourg Forum has held almost 30 conferences, seminars and workshops in Moscow, Washington, Luxembourg, Rome, Berlin, Vienna, Geneva, Paris, Warsaw, Stockholm and Prague. Forum website – http://www.luxembourgforum.org . 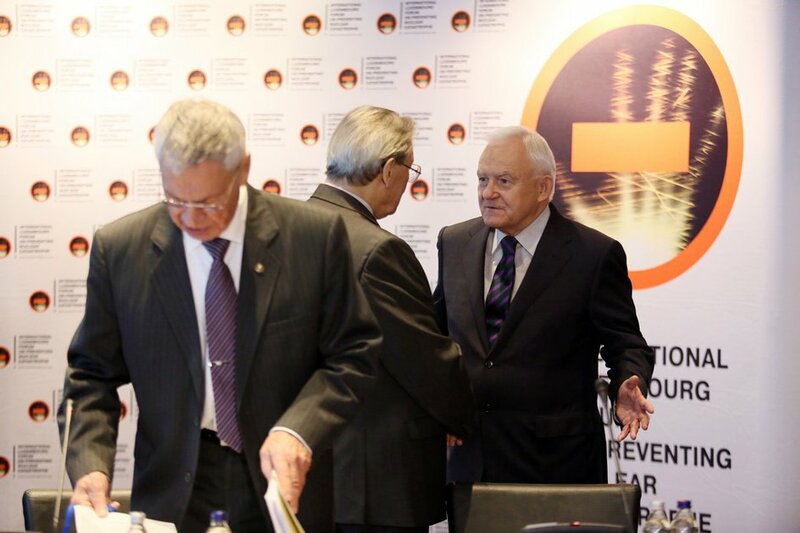 On December 18, 2007, the official declaration of the International Conference on Preventing Nuclear Catastrophe was presented at the RIA-Novosti press centre. 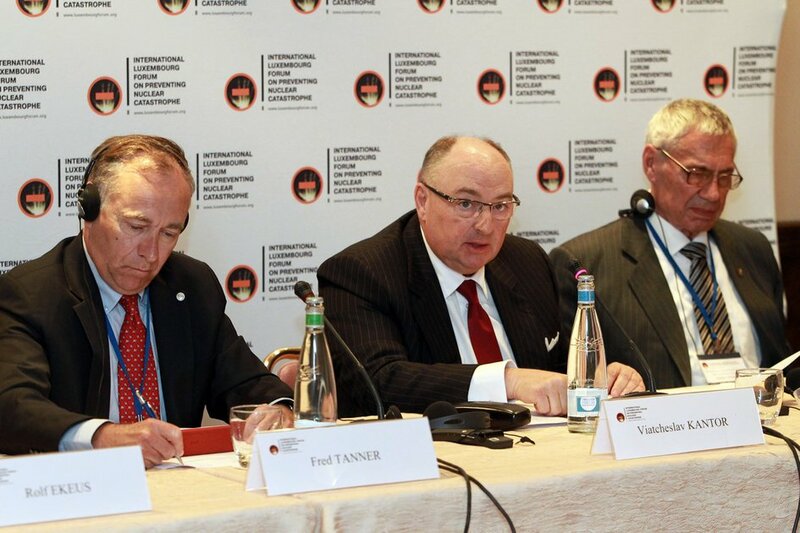 The Conference had been held in Luxembourg on May 24-25, 2007.The declaration was presented by a group of experts, including Hans Blix, Chairman of the Weapons of Mass Destruction Commission and former Director General of the International Atomic Energy Agency (via videoconference between Moscow and Stockholm); Rolf Ekeus, Board Chairman of the Stockholm International Peace Research Institute and former High Commissioner on National Minorities of the Organization for Security and Cooperation in Europe; Viatcheslav Kantor, Chairman of the Organizing Committee of the Luxembourg Conference and President of the European Jewish Congress and Russian Jewish Congress; Uzi Arad, founding head of the Institute for Policy and Strategy and Adviser to the Knesset Foreign Affairs and Defense Committee; Vladimir Dvorkin, Principal Researcher of the Institute for World Economy and International Relations at the Russian Academy of Sciences, Professor, retired Major General; and Sergey Oznobishchev, Director of the Institute for Strategic Assessments and Professor of the Moscow State Institute for International Relations at the Russian Ministry for Foreign Affairs. 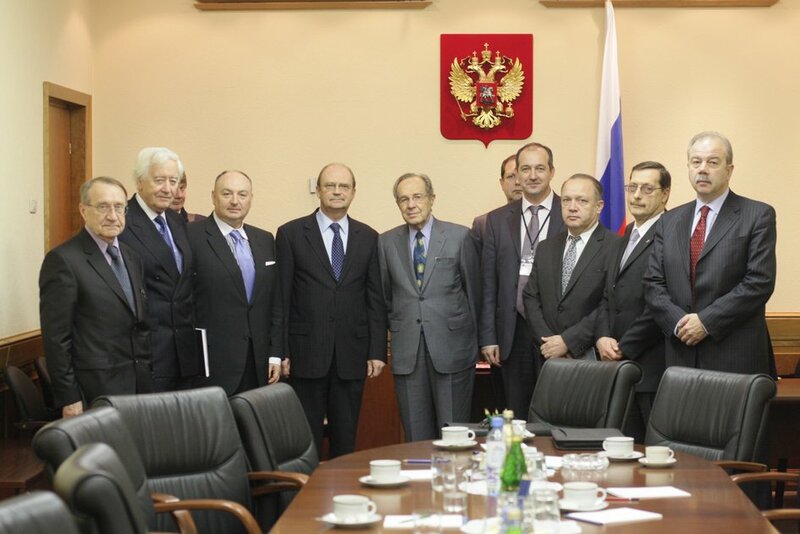 The declaration was finalized in early December 2007, with more than forty world leading experts from fourteen countries contributing to its creation. The declaration contains proposals to prevent the collapse of the nuclear weapons non-proliferation regime and offers a set of practical steps to strengthen this regime. 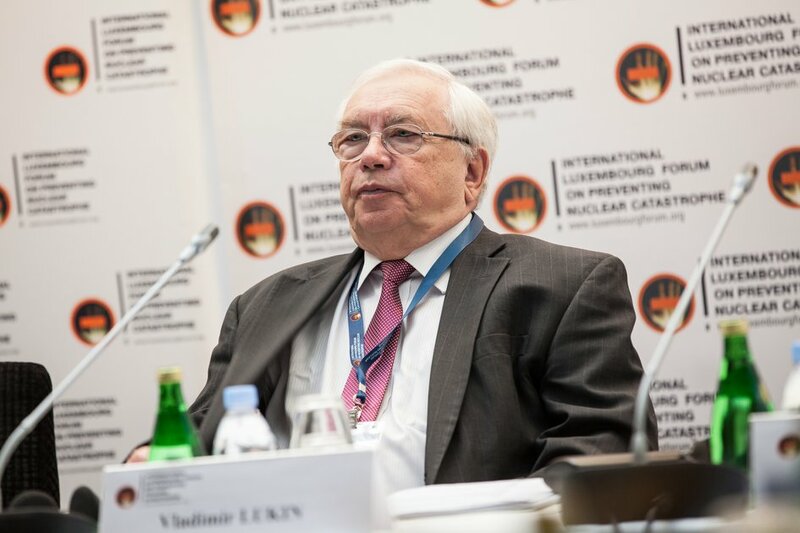 During the press conference, Rolf Ekeus called the important initiative well-timed, since some rogue states are seeking to create their own full nuclear fuel cycle. According to the Peace Research Institute Chairman, we are facing the danger of true “nuclear anarchy” and the chief aim of the declaration is to prevent this scenario. 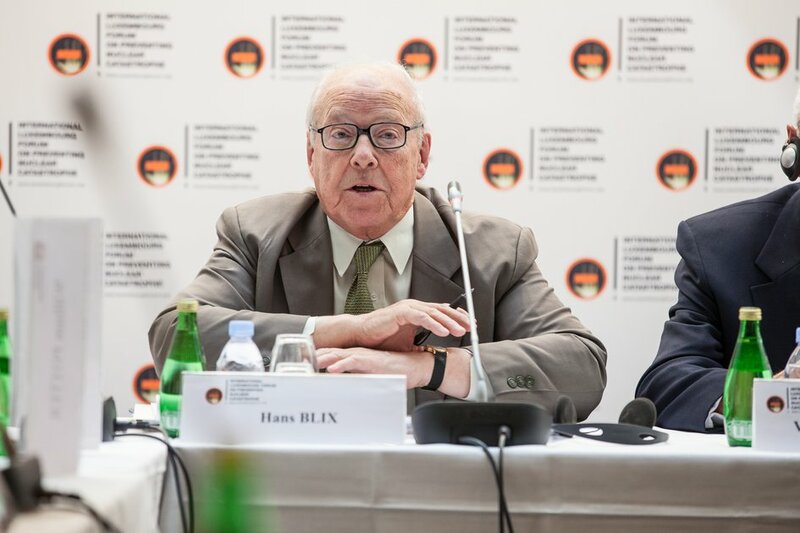 Hans Blix stated that the specific proposals incorporated in the declaration form an action plan intended to decrease the nuclear threat within the next few years. 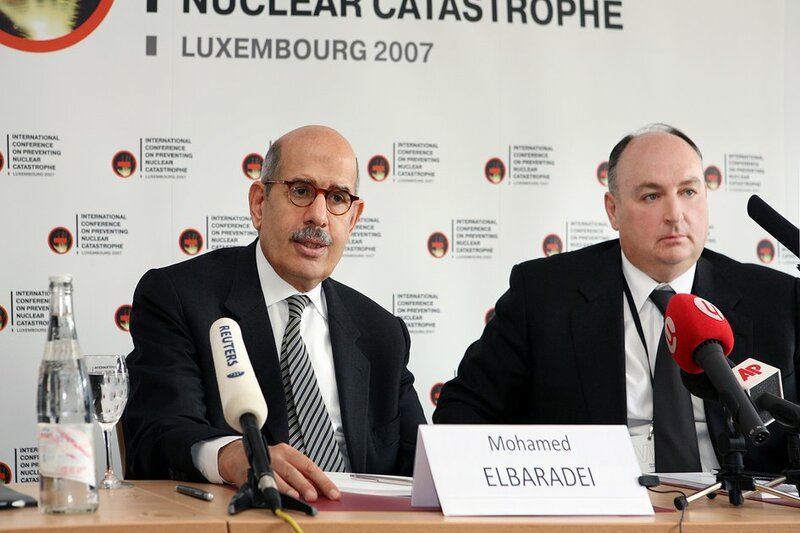 Commenting on the commencement of Russia\’s nuclear fuel deliveries to the Iranian power plant in Bushehr, Blix emphasized that this step and other initiatives supporting Iran\’s civilian nuclear program are positive developments in the process of settling the Iranian nuclear issue, provided that Iran halts its military nuclear efforts. 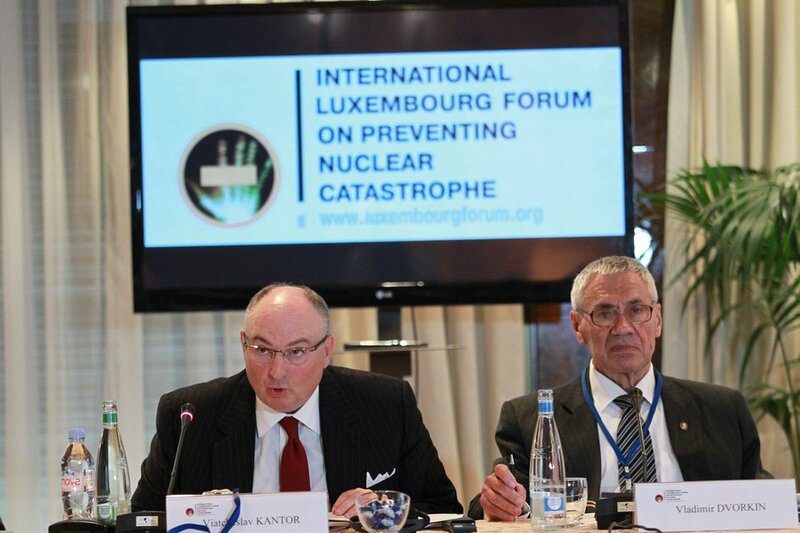 Viatcheslav Kantor announced the opening of a permanent Luxembourg Forum, explaining that the Forum\’s program envisages regular workshops and conferences on the most current and pressing issues associated with nuclear weapons proliferation. The next Forum workshop will discuss the Iranian nuclear crisis. “The establishment of the Luxemburg Forum and associated institutes will help formulate constructive decisions based on the experts\’ proposals. The declaration is a roadmap on this issue. 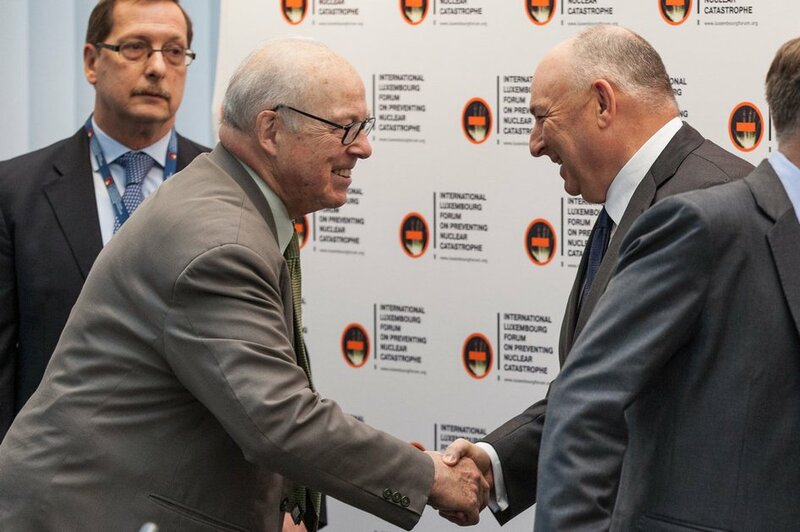 Those who disagree with it will have to confront the unanimous position of the expert global community rather than opinions of individual countries,” noted Kantor. 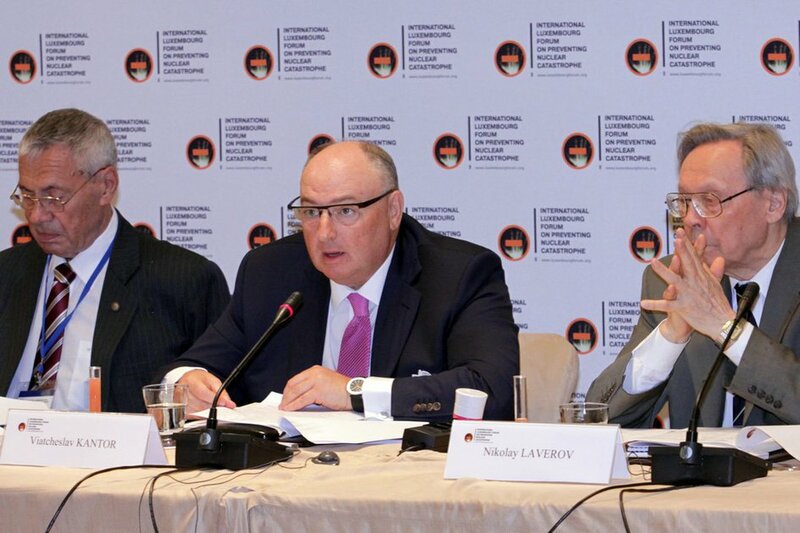 During the discussion, Vladimir Dvorkin highlighted a growing concern in regard to the Iranian crisis. He stated that the recent U.S. intelligence report on the Iranian nuclear program gives rise to many questions. “It shows that Iran\’s reporting to the IAEA was even more misleading than we used to think, since it had been developing its nuclear weapons prior to 2003. We need to understand what the words stating that Iran discontinued nuclear weapons research really mean. Perhaps the research has been completed.” He also stated that if the crisis is not resolved, more severe incremental sanctions must be taken against Iran. 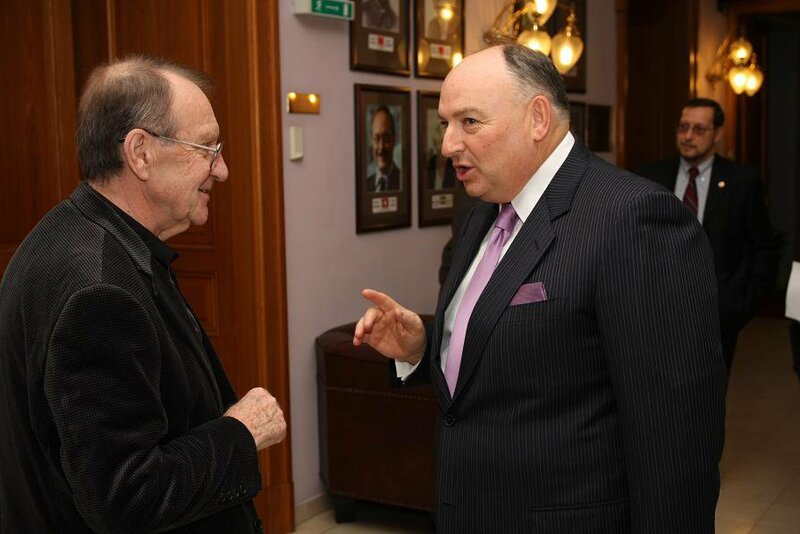 Uzi Arad stressed that if Russia supplies fuel to Bushehr, Iran has no need to continue uranium enrichment; however, these deliveries are a test of sorts. Israel has been watching the process of construction in Bushehr and is convinced that it has helped Iran develop some of the infrastructure. 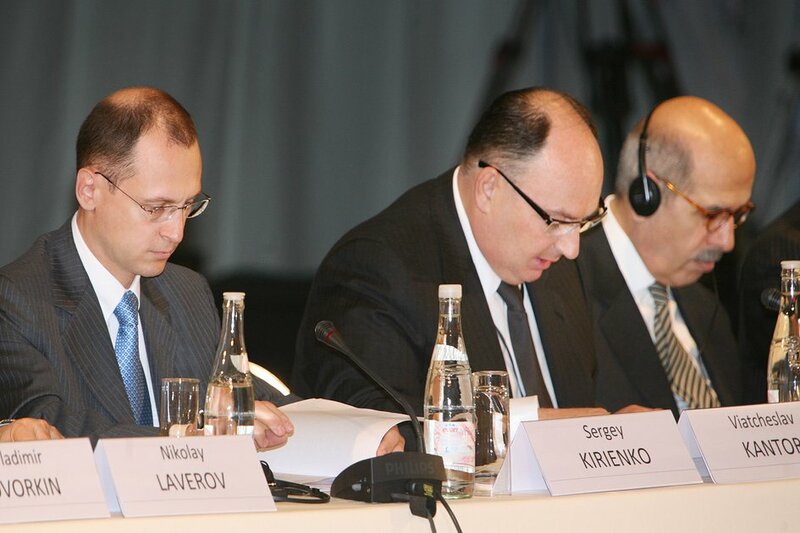 In Sergey Oznobishchev\’s words, “[t]he growing threat of more countries and terrorist organizations gaining access to nuclear weapons urgently calls for the creation of an impenetrable barrier against nuclear proliferation.” He is convinced that, at this point, the nuclear weapons non-proliferation regime cannot be efficiently observed due to the lack of joint determination and political will among the nuclear states, rather that any lack of technology. 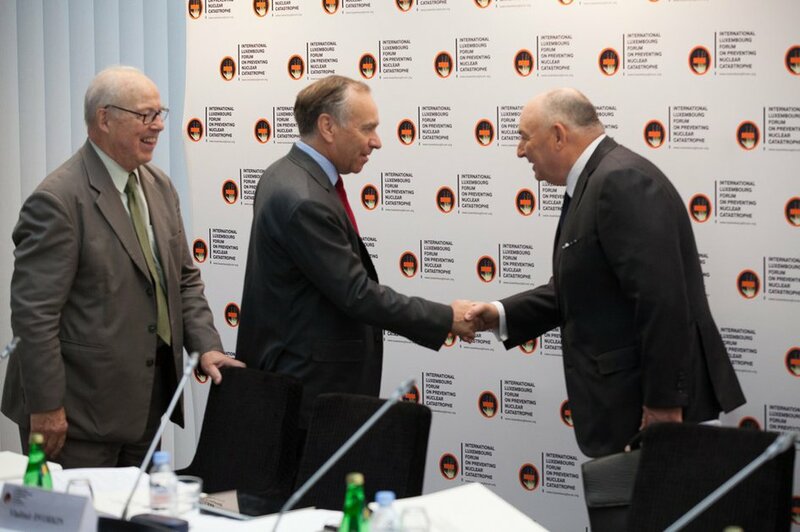 The Supervisory Board of the Luxembourg Forum includes high-level participants of the Luxembourg conference, in particular Hans Blix, Rolf Ekeus, Vice President of the Russian Academy of Sciences Academician Nikolai Laverov and former U.S. Secretary of Defense William Perry. 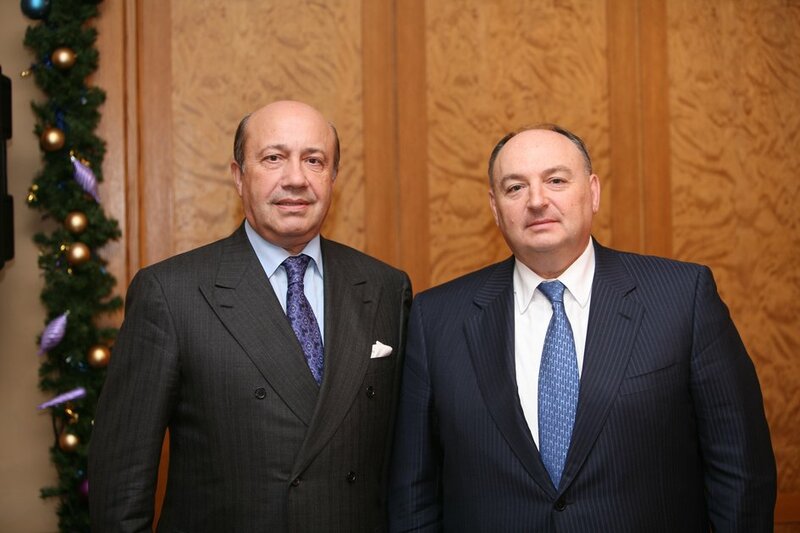 The following prominent politicians have tentatively agreed to join the Supervisory Board: former U.S. Secretary of State Henry Kissinger, Co-Chairman of the Nuclear Threat Initiative Sam Nunn and former Secretary of the Russian Federation Security Council and former Russian Foreign Affairs Minister Igor Ivanov. On the eve of the official presentation, the declaration was circulated to heads of state throughout the world, top-tier politicians and heads of major international organizations. Among its addressees are Russian President Vladimir Putin, German Chancellor Angela Merkel, U.S. President George Bush, Iranian President Mahmoud Ahmadinejad, Israeli Prime Minister Ehud Olmert, French President Nicolas Sarcozy, UN Secretary General Ban Ki-moon, NATO Secretary General Jaap De Hoop Scheffer, President of the European Commission José Manuel Barroso, and Secretary General of the Council of Europe Terry Davis. Please follow the link to read the Declaration. 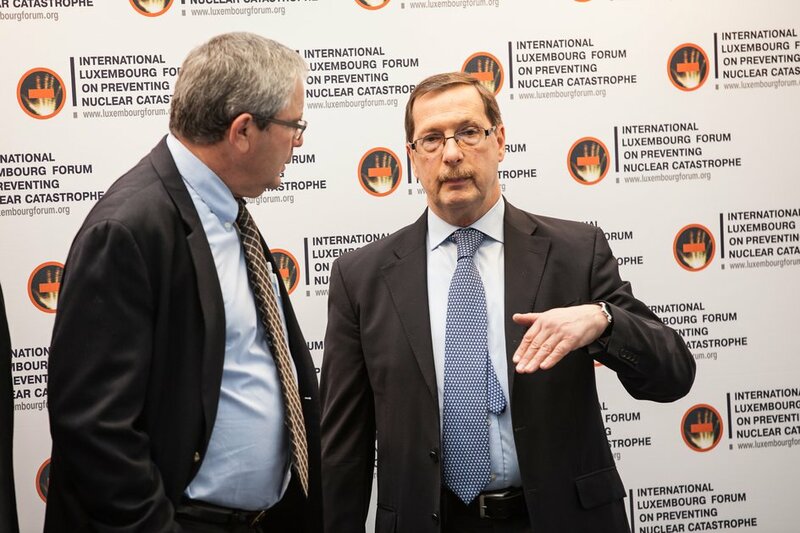 The International Conference on Preventing Nuclear Catastrophe was an unprecedented gathering of leading international experts on nuclear proliferation and the erosion of existing safeguards in this area. The Conference was held in Luxembourg on May 24-25, 2007. 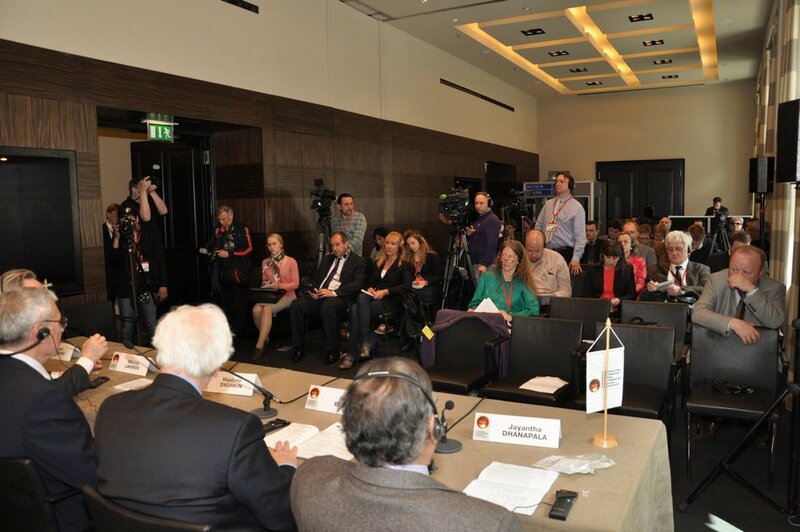 The Conference received wide coverage from leading media outlets around the world, including AP, AFP, BBC, CNN, DPA, EuroNews, Reuters, Time, The Independent, The Wall Street Journal, USA Today, as well as Russian news agencies ITAR-TASS, RIA Novosti, Interfax, RBC, Rossiyskaya Gazeta, Kommersant, Vedomosti, Izvestia, Moskovskie Novosti, Nezavisimaya Gazeta and many others. Conference participants discussed new challenges and threats to the Non-Proliferation Treaty and its enforcement, as well as the outlook for its development; the threat of nuclear terrorism; the issue of control over nuclear technologies and possible avenues for international cooperation in this area; enhancement of the IAEA safeguards and export control mechanisms; and the existing situation in rogue states and regions (Middle East, Korean Peninsula and South Asia). 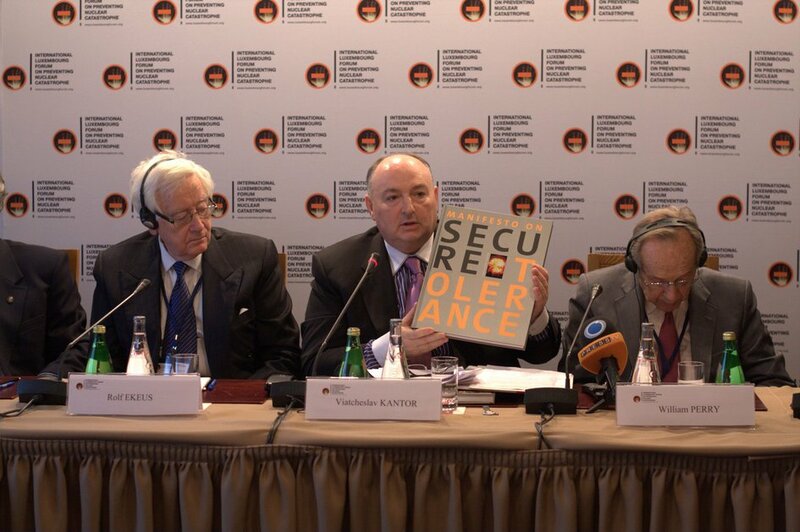 At the end of the Conference, the scientists and experts formulated specific proposals and recommendations on addressing the nuclear security issue, and had a preliminary discussion about issuing a Conference declaration. They came to the conclusion that the final Declaration should be approved after including all amendments proposed during the course of the discussion. The Declaration will contain proposals to avoid collapse of the Non-Proliferation Treaty, as well as a number of initiatives to resolve issues surrounding the nuclear programs in North Korea and Iran. The declaration will be circulated to world leaders and prominent politicians as well as influential international organizations. 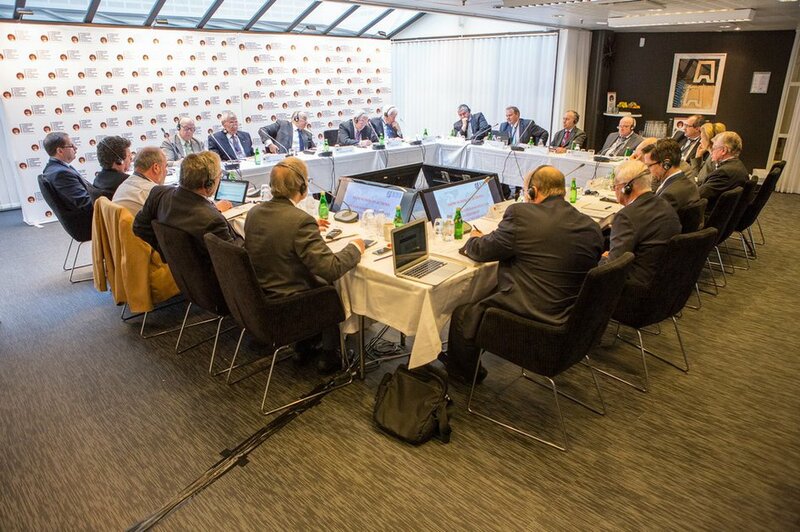 It was also suggested at the Conference that a permanent Luxembourg forum with an executive body and expert council should be founded. Once created, this will provide an efficient tool for researching and monitoring progress in the non-proliferation of nuclear technologies and materials, as well as the possibility of demonstrating to the global community the real danger of the nuclear threat, its scale and ways to prevent it.